One thing I really didn't expect to make when I started my blog, was friends. It's been the nicest surprise of 2011; the power of social media really is fantastic. One of my new acquaintances is the lovely Bethany, otherwise known as @RougedBeaut - recommend you follow her. 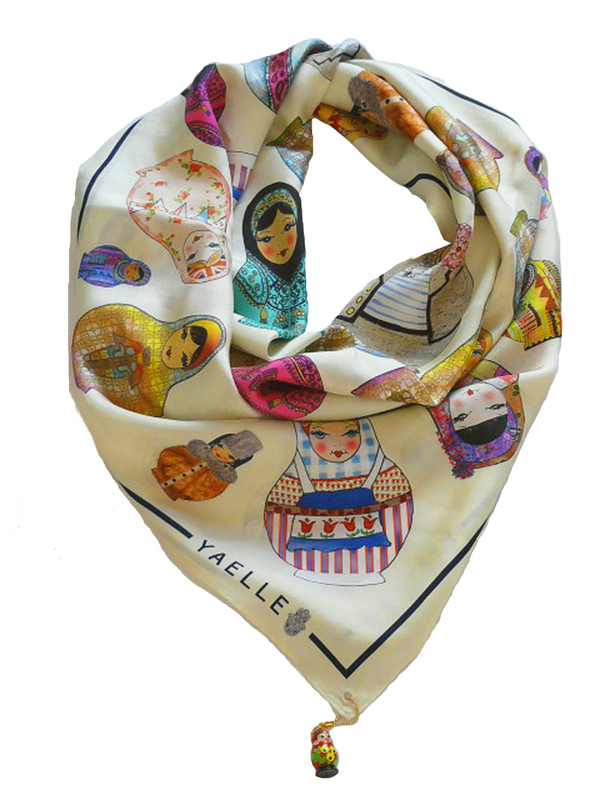 She works as a PR and Marketing assistant to this lovely brand, Yaelle scarves - the perfect present for the girl who has everything. I am a massive fan, there is something really Alexander McQueen, mixed up with some Hermes. Yaelle scarves are inspired by the glamour of Cannes and Monaco and the rich diversity of Tunisia, individually hand-drawn, yet printed and manufactured by the latest technology in the United Kingdom. 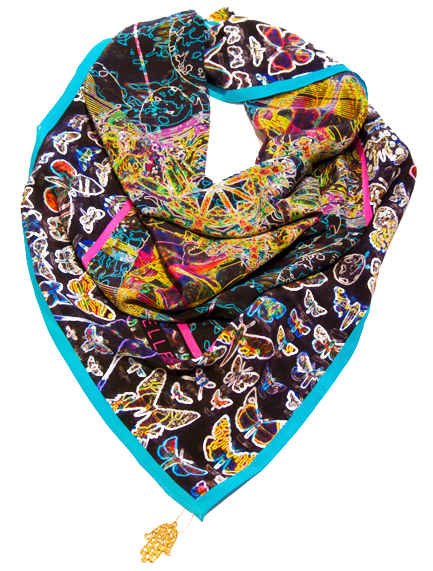 Each scarf has added personality with the addition of a charm. The Hamsa Collection is accompanied by a finely made filagree Hamsa hand for both good luck and fortune to encourage the wearer to be bold in life choices and courageous in path finding. I looked up what a Hamsa was, haha, as I had no idea before Bethany told me about them. Good old wikipedia - a hamsa is the hand shaped good luck charm used in most Eastern faiths. If you're a geek in equal proportions to myself, then have a look at the write up here. Really do love these, and there is something very classy about having a good silk scarf... And every girl should look expensive. As an additional wow, Yaelle also offers a Bespoke Service upon consultation where scarves can be personalised or tailored to your very own design brief. Vouchers are also available to buy on the Yaelle website starting from £50. Browse the website here, my favourite by a mile is the Baboushka one - I need it! Oooh I really like the print on the last one!! Great find! hey girlie! thank you for your follow, I just followed your blog as well! <3 it!! xoxo and keep in touch!